“You walk into a shop or cafe. The cashier knows that you’re on the premises because your name and thumbnail photo appear on his iPad screen. He rings up your items by tapping them on the iPad. Writing about taking the app for a spin at a coffee shop in San Francisco, Pogue describes a few hang-ups: merchants have to use an iPad as a cash register and they must enter every item they sell. Another issue concerns Square’s security and actually stems from customers themselves — users are required to upload a photo of themselves to set up a new Pay With Square account, but as the coffee shop cashier told Pogue, “sometimes use pictures of cats or SpongeBob instead of their own photos,” which prevents a visual ID of the customer. Andy Vuong at the Denver Post took a look at NFC technology this week, its potential uses — including but not limited to mobile payments — and the likelihood of it becoming mainstream in the U.S. Vuong writes that the biggest question concerning NFC’s future may be whether or not Apple will include the technology in its next generation iPhone. 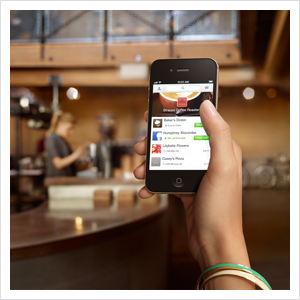 Is NFC poised for ubiquity?